Okay, so maybe I've been listening to too much of Rush's 2112, but I do feel like I am finally assuming control of our curriculum. 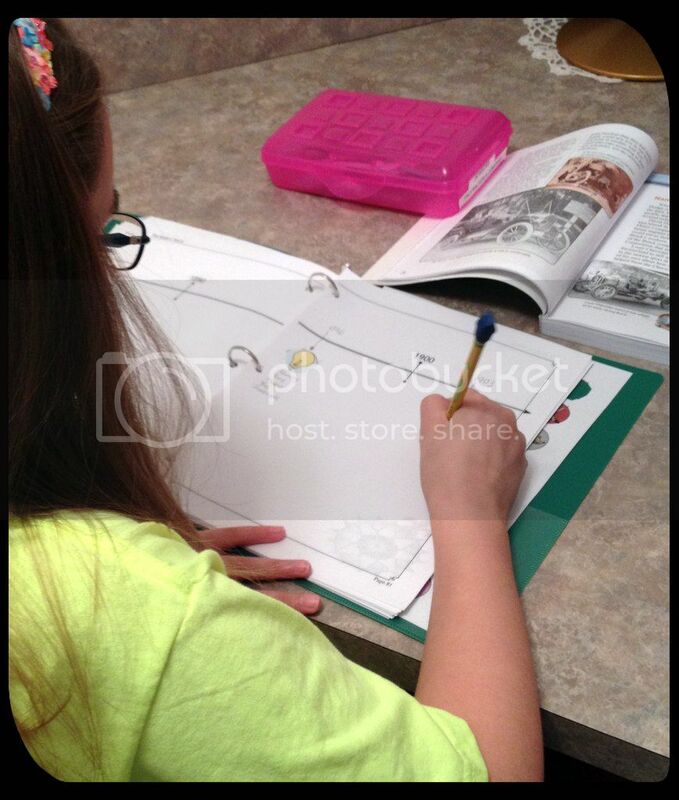 We are fairly new to homeschooling, as this is only our second semester, and it has taken me this long to feel comfortable enough to drastically change or ignore lessons plans provided by our curriculum. I did read all the articles about curriculum being a tool for you to use and not letting rule you. That simply isn't a problem I felt we had. We had some control and liked the structure of our curriculum. Then, we began having a little trouble completing all the assignments and tasks suggested by the very structured curriculum that we use. If you look at our selected curriculum, you can see that it is a mix from various publishers, but all highly structured. Amber and I both need structure and so we agreed to use that type of curriculum. However, we are now struggling to make the curriculum fit our life. It does almost feel like we are ruled by the curriculum we loved a couple months ago. (Ahem... at least I can recognize this fact.) Each subject contains enough lessons, minimally, for 36 full weeks of school. Most subjects zip through the topics and provide no extra time to study anything in detail. I'm beginning to wonder if the structured curriculum is really the best route for us, in general. That is such a shocking question that I feel like I am betraying our educational principles. Yes, we are doing wonderfully with Saxon Math and will definitely keep it. Yes, we love the BJU Spelling curriculum, and will probably keep it too. But what about the others? We love the BJU English grammar units and their writing units are good too, except they have us on such a quick paced schedule that there is no time to really do a great job on writing. Either rush through with a merely acceptable finished assignment, or slide off the schedule. We're off the schedule. Now, I have opted to skip the persuasive business letter writing unit to catch back up. This worries Amber so much because her parochial school skipped a lot of writing units, which hindered the writing abilities of those children. BJU Heritage Studies isn't working for us either. It leaves out so many details that I intended to supplement it from the start. Still, there is no time to spend on the projects they suggest or even miss a single day of history class, much less take detours. Just today while we were studying WWI and the trench warfare Amber stopped me after the small 2 page spread on the topic to say "I want to know more about how that worked. Can you tell me more?" What am I supposed to do? Should I say, "No, honey, that's all the book has. Now on to gas shells and weaponry"? So we learned more about trench warefare and put ourselves behind by another day. BJU Science is the same. Rush through everything and pack it so full that we can't possibly take any extra time if we intend to finish it. So, we decided to not finish it. Just last week, I skipped an entire life science unit in favor of a chemistry and physics unit. 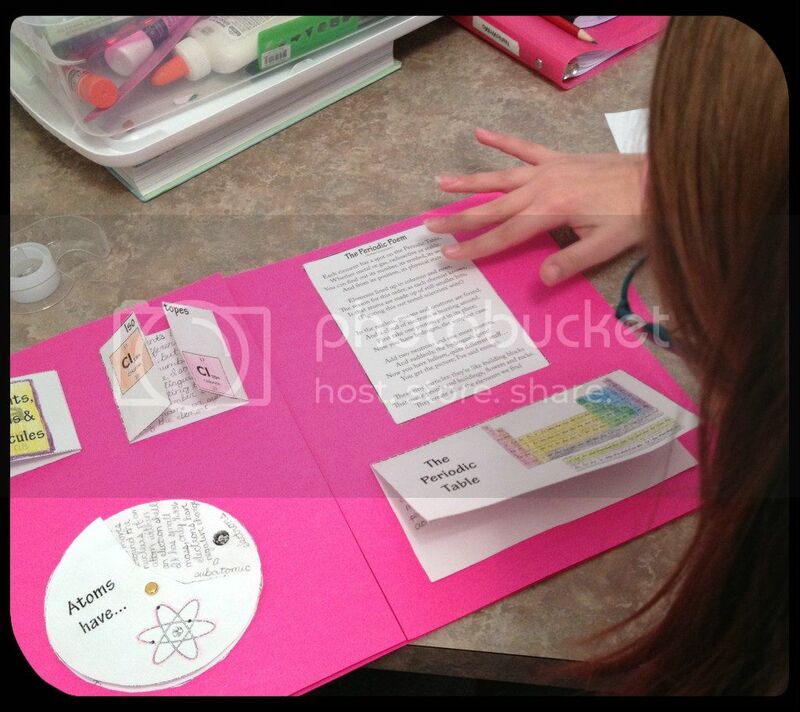 We even added a unit study on the periodic table to enhance the first chemistry chapter. I do fully realize the consequences of this will probably be a lower standardized test score in science this year and that's ok (mostly). Amber (and I) loathe life science. Given that we will be doing a whole year course in biology next year, I see no reason to punish her with it this year. Life science has been 1/3 to 1/2 of her science topics every year prior (taught by teachers who apparently adored it). It's time to give life science a rest. Having said that, we may start her 6th grade Biology course in the latter part of 5th grade, after all the "fun" science units are completed. There is no need to do a single life science unit at the end of 5th grade to just start all over again in 6th grade. Reading is another issue all together. 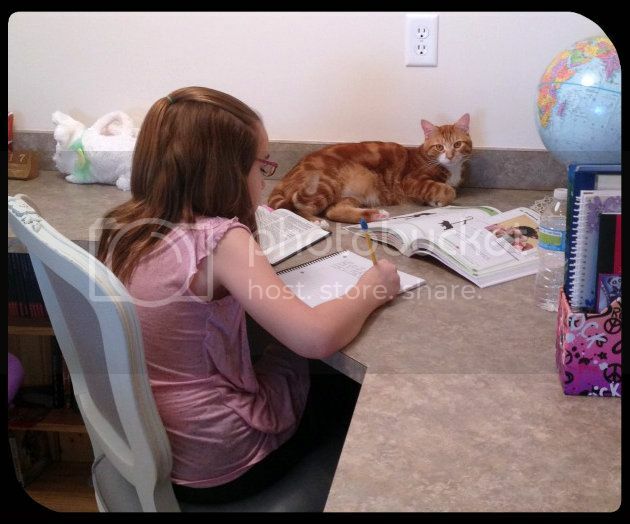 Amber reads at an 11th-12th grade level, yet we are still doing formal reading class to strengthen her reading comprehension skills with age appropriate material. The busy work in Reading seems endless and I'm not sure she's learning all that much. I do believe she is getting more from our literature studies than Reading class. But we forage on because, again, Amber worries about keeping up. She's always had a formal reading class and feels lost without it. However, next year, in Middle School, we are going to use literature studies as our only reading class. I've been reading so many blogs by wonderful homeschool families who also branched out away from the heavily structured curriculum and have done a splendid job educating their children. We will never be able to take the plunge into unschooling or even be truly interest-led. I will never be able to give up lesson plans and Amber will always need her predictable daily routine. However, I would like the ability to step away from the curriculum's schedule to follow areas that do highly interest Amber, or even areas that I feel are not covered well in the curriculum. How we implement this vague, barely defined desire, is the crux of my problem right now. I'm currently swamped cobbling together a unit study on the Nutcracker that we will start Dec. 3rd, as well as refining a study on A Christmas Carol to use immediately after. Both of which, Amber is unsure about doing. It doesn't sound enough like school to her. Not to mention I'm still reworking science for second semester and writing down my loose thoughts for a self-defined 6th grade history curriculum. It may just take me all next semester to pull an ancient history course together. Slowly we are learning that it really is ok to go "unscripted" in our lessons as long as we have an idea of where we are heading with those lessons.